WHA Candidate Nominations due February 15th! The Nominating Committee seeks your input in creating a slate of candidates for this year's Western History Association election. Please submit nominations for: WHA President-elect, two Council members, and two members of the Nominating Committee. The MHS Pu blications Program is the publisher of Montana The Magazine of Western History (MMWH) and Montana Historical Society Press books. MMWH is an award-winning scholarly journal now in its sixty-sixth year of publication. It is a definitive source for scholarship on Montana and the West. MMWH's readership includes general subscribers, MHS members, and Western History Association members. Also widely recognized for excellence, the Montana Historical Society Press publishes approximately three titles per year in the fields of western history, with sixty books and twenty e-books on its list. In addition, the Publications Program actively participates in the MHS social media and video programs; produces MHS newsletters, calendars, and advertisements; and engages in joint projects with other MHS programs, including editing of Museum exhibits, giving educational talks, and helping with and planning for public events. The associate editor plays a vital role in all aspects these activities in terms of his/her participation in planning, project management and production, research and development, information management, marketing, and product distribution. Diablo Valley College is seeking a full-time tenure track instructor in History to begin August 2017. The successful applicant will be well qualified to teach to all Latin American history courses in addition to any or all of the following courses listed in the DVC catalogue: Hist 135 and 136 (Latin America and perspectives in US); Hist 125 (Mexico and perspectives in US); Hist 124 (California); and Hist 126 (US West). 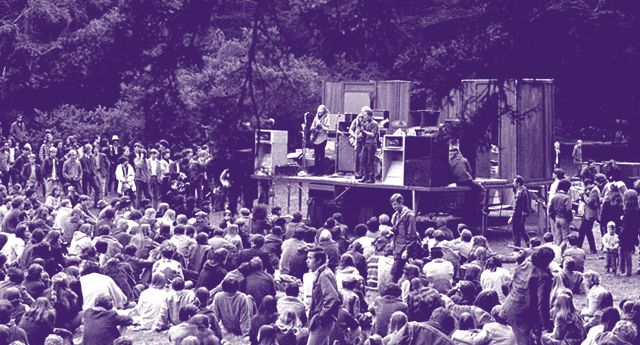 Northwestern University’s Center for Civic Engagement and the California Historical Society invite scholars to submit paper proposals for this interdisciplinary conference celebrating and reexamining the Summer of Love and its associated events, contexts, and implications. The conference’s major theme is community, exploring how that idea–and reality–was renewed, explored, interrogated, and reimagined in a multiplicity of ways during the Summer of Love. As an interdisciplinary meeting, the conference welcomes scholars from all interested fields and theoretical perspectives. We are particularly interested in papers that bridge disciplines. Suggested topics include art, from drama and dance to poster art and music; writers and writing, including New Journalism and contemporary theorists; minorities and marginalized populations; GLBT and gender issues; urban studies; and implications of the Summer of Love on today’s social movements. Professors, independent scholars, students, and professionals working outside of the academy are welcome to participate. Adjunct professors and graduate students are particularly encouraged to apply. Limited assistance is available for graduate students and adjunct faculty to help defray the costs of conference participation. Distinguished scholars in History or Political Science are invited to apply for the Wayne N. Aspinall Chair at Colorado Mesa University. For a $10,000 stipend, the visiting professor will spend three weeks on the Colorado Mesa University campus in late March-to mid- April 2018, teach a one credit course, give a major public lecture, and make any other invited appearances. Applications must include a vitae, a brief outline of a course proposal and a topic for the major public lecture. Submit application by February 10, 2017 to: Professor Steven C. Schulte, Department of History, Colorado Mesa University, 1100 North Ave., Grand Junction, CO 81501. Feel free to direct any inquiries to Schulte@coloradomesa.edu or 970 248-1418. Otis E. Young, Jr., age 90, of Tempe, AZ died September 16, 2016. He was born October 10, 1925 in South Bend, (IN), the only child of Otis E Young, Sr. and Madge Oliver Young and was raised in Mount Vernon, (IN). He served as Sgt., U.S. Army, 1943-46, and was an Air Force Reserve Officer 1948-1962. He received the B.A., M.A. and Ph.D. degrees in History from Indiana University. He married Ruth Krost Thomas in 1950 in Bloomington, IN. He was an Instructor, Alpena (MI) Community College, 1952-54, Assistant Professor, Bradley University, Peoria (IL), 1954-63, Visiting post-doctoral scholar, Ohio State University 1959-1960 and Professor of History, Arizona State University, Tempe (AZ) 1963-88. Among many books, scholarly articles and reviews on Western, Military and Mining History, his three most notable books were The West of Philip St. George Cooke, who was the commander of the Mormon Battalion, Western Mining and The Mining Men. Member of Phi Alpha Theta, Pi Sigma Alpha. Arizona president 1970-71 Council on America's Military Past. Charter member and recipient of Rodman Paul Award, Mining History Association. He is survived by his wife, Ruth, two sons, Benjamin Thomas Young of Tempe, AZ and Otis E Young, III, his wife, Susan, and one granddaughter, Riley, of Cabot, AR. Private services have been held at St. Barnabas on-the-Desert Episcopal Church, Scottsdale, AZ. The family suggests that memorial contributions be made to the Salvation Army. Sage Hospice 5111 N. Scottsdale Rd, #204, Scottsale, AZ 85250. The University of Nevada, Reno Department of History invites applications for a tenure-track assistant professorship in the history of the American West, with an emphasis on the environment. We seek a scholar with a commitment to construing “the west” broadly, but a particular interest in its environmental aspects. Desirable specializations include, but are not limited to, the 19th century U.S. west; new military history; race and/or ethnicity, especially Chicana/o or Latina/o history, indigenous history, or comparative settler societies; science, technology, medicine, and society; or food studies. Interdisciplinary approaches to teaching and research are welcomed. The successful candidate will teach both lower and upper-division classes in the history of the western U.S., as well courses in American environmental history. He or she will contribute to a well-established graduate program in Nevada and western United States history, and participate in the university’s interdisciplinary Core Humanities program. Strong evidence of research potential and teaching promise is required. Ph.D. must be completed by July 1, 2017. -a resume/cv, writing sample, 2 sample syllabi, statement of research and plans and a detailed letter of application which highlights the applicant’s leadership experience and/or potential and indicates how they would contribute to the diversity and excellence of the academic community through their research, teaching, and/or service. Letters of recommendation will be sought from finalists. Inquiries may be directed to Dr. Elizabeth Raymond (raymond@unr.edu). UNR is the State of Nevada’s historic land-grant institution; it serves approximately 21,000 students. The university is ranked as a Tier 1 institution by US News and World Report and offers an array of degree programs at all levels. Located at the foothills of the Sierra Nevada, a 30-minute drive from Lake Tahoe, Reno has a rapidly-growing technology business sector and boasts a vibrant arts and restaurant scene. Reno/Tahoe is recognized as a world-class outdoor recreation area. Additional nearby areas of interest include the Black Rock Desert, Sacramento, Yosemite and Lassen National Parks, Napa/Sonoma, the Bay Area, and San Francisco. Diversity is central to the mission of the History department. Our faculty, staff and students strive to foster an environment that is conducive to exploring, engaging, and expressing diverse perspectives and respectful of diverse identities. Women, under-represented groups, individuals with disabilities, and veterans are encouraged to apply.